During emergencies, please stay tuned to local news and radio for updates and information. 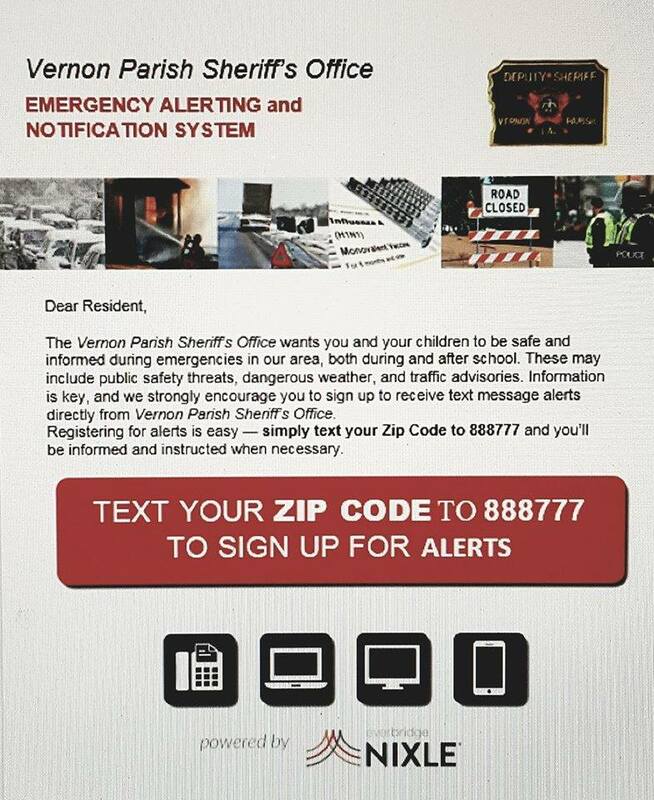 Also, please follow the official Facebook pages for the Vernon Parish Office of Emergency Preparedness, the Vernon Parish Sheriff’s Office, and the Vernon Parish Police Jury to receive updated information and news. Sandbags are available during emergencies for parish residents at the Parish Public Works Department, located at 602 Alexandria Hwy. Sandbags should be used to flood proof homes and are limited to 25 per household. Residents in the City of Leesville can get sandbags from the City of Leesville Public Works Department on Redtown Rd.